K&B Molded Products offers numerous secondary assembly and finishing processes, including sonic welding. Sonic welding can be used for plastic components and assemblies for which it is not feasible to mold into a single piece. In the sonic welding process, high-frequency mechanical motion and force are applied to the joint that is to be welded. This localized motion causes friction between the two surfaces, resulting in a build-up of heat that melts the material at the desired joint. For high volume production, sonic welding lends itself well to automation, and welded parts rarely require any touch-up. A wide array of thermoplastic materials can be welded together for any number of applications. Sonic welding can even be performed between two different thermoplastic materials, providing that the two materials have a similar melting point. Additionally, since there are no additional consumable components such as adhesive or fasteners required to join the parts, sonic welding is the optimal way to join plastic assemblies for which weight is an issue. Because the welding is performed through the precise application of mechanical vibration, there are also no solvents required and very little energy is used, making the process very environmentally friendly. Due to its numerous advantages, sonic welding is utilized throughout a wide variety of industries, but it is especially popular with customers in the automotive, medical, and appliances industries. Hermetically sealed components such as headlight lenses, valves, and other air handling components lend themselves to the sonic welding process as it does not introduce any additional materials that could contaminate the sealed area. 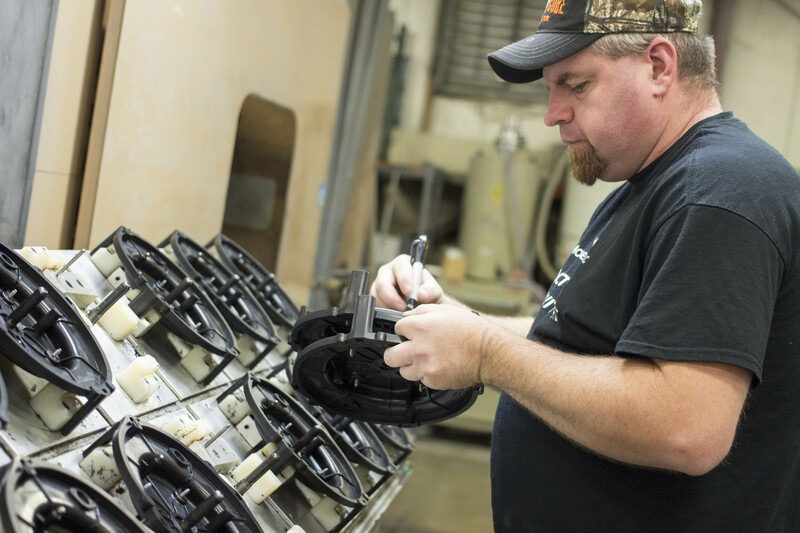 At K&B, we have a long history in the plastic injection molding industry and are capable of providing customers with turnkey plastic production manufacturing options that encompass everything from mold design to assembly and finishing. 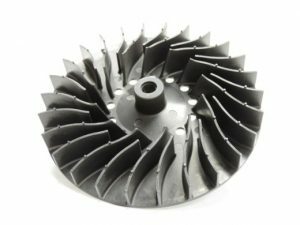 We are ISO 9001:2008 certified and are dedicated to continually improving manufacturing processes by combining the latest design and molding technology with our years’ of industry experience. 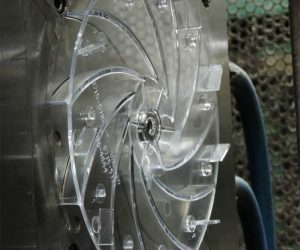 Any additional secondary processes such as hot stamping and packaging can be accommodated as needed, according to customer preferences. Flexible scheduling allows us to meet deadlines on time, every time, to best serve our customers and drop shipping can be performed to expedite time to market while reducing shipping costs.